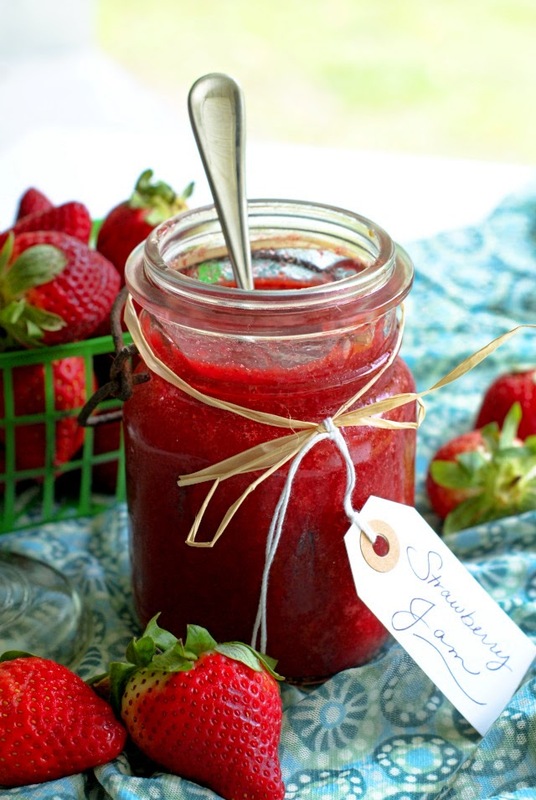 Strawberry Refrigerator Jam is super quick and easy to make and tastes out of this world! Once you taste it, you will never want to buy it from the store again. 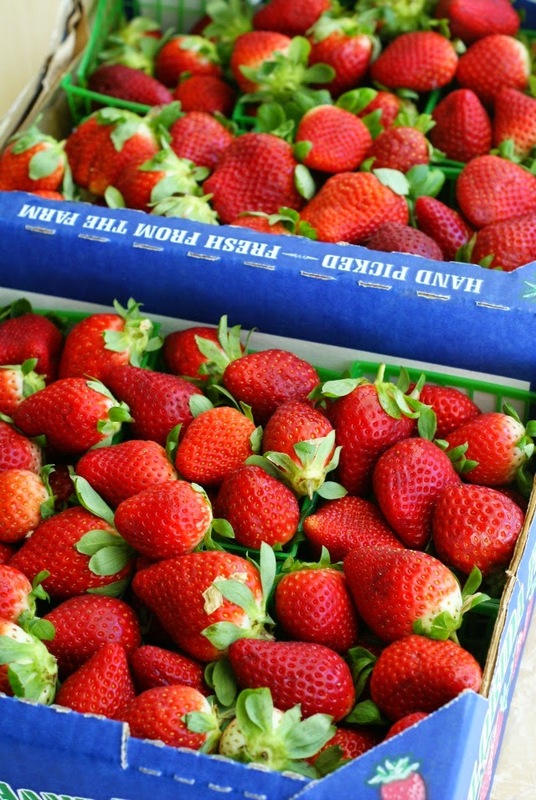 The other day at our local market, I came across a big stack of flats containing the most beautiful fresh strawberries. Naturally, I had to have them. They screamed, "buy me"! I had no idea what I was going to do with all of those strawberries, but I didn't care. They were coming home with me. Look at them, down there, aren't they pretty? Yum. My kids love to eat them fresh, and we often have them with breakfast and lunch. I knew they wouldn't get through all of them before they started to get too old by just eating them fresh, so I decided to try my hand at a fresh jam. My Mom has been making jam a similar way for years, but for some reason I had never tried it. Now that I have, I wish I hadn't waited so long! The taste is sweet, with a little tart, and so incredibly bright and fresh. No comparison to store-bought. I'm never going back. You won't either once you see how quick and easy it is to whip up fresh jam at home! You will LOVE it! Pulse strawberries in your food processor until as chunky as you like. My son doesn't like a lot of chunks, so I process mine until almost smooth. Add the strawberries, sugar, and lemon juice to a skillet and cook over medium-high heat, stirring frequently, for 15 minutes. Transfer to a jar and let cool on the counter. Cover and store in the refrigerator for up to 10 days. Make sure you cook this in a skillet, not a saucepan. Having the strawberries spread out on a wider cooking surface helps some of the liquid to evaporate. You can add as little as 1/4 cup sugar to as much as 1/2 cup sugar. 1/3 cup was just perfect for us. Taste as you go and make it as sweet as you'd like. This recipe makes one jar of jam.